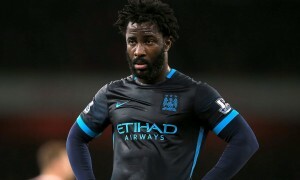 Wilfried Bony remains a Manchester City player despite signals he is not part of Pep Guardiola’s long-term plans. The 27-year-old forward has failed to impress since he moved to the Etihad from Swansea in a deal worth up to £28 million and City are prepared to cut their losses. However, City are unwilling to let him go on the cheap and for that reason are struggling to move him on. According to The Times today, newly promoted Hull have made loan bids for both Bony and Liverpool forward Christian Benteke. City have rejected Hull’s approach for the Ivorian because they would prefer him to leave on a permanent deal. Today’s Mirror claimed that City want £25 million for Bony, who earns in the region of £100,000-per-week, making him an expensive investment for any interested party. Other than Hull, Bony has been linked with a return to Swansea and a move to Everton as part of the John Stones deal, but the Merseyside club are said to be cold on that idea. Turkish sides have also been mentioned as possible destinations, while the Mirror states that there has been interest from China and the United States. 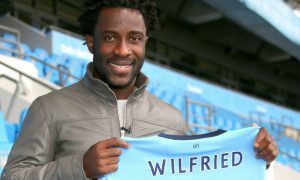 However, no cash offer has arrived yet and Wilfried Bony, for now, remains a Manchester City player.